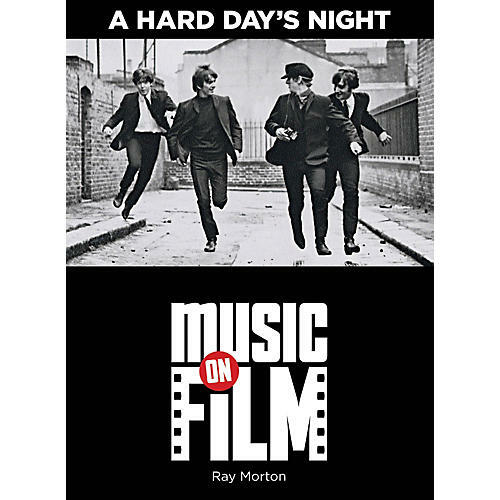 A Hard Day's Night: Music on Film Series is the story of the making of the greatest rock-and-roll movie of all time. Beginning with introductions to the film's stars - chronicling their rise from a raggedy teenage skiffle band to the biggest pop act in the world - the book goes on to tell how the American film company United Artists wanted to make a quick, low-budget movie starring the Fab Four so its record division could put out a motion picture soundtrack album full of new Beatles songs, in order to allow the studio to cash in on the incredible wave of Beatlemania then sweeping the planet. Director Richard Lester, producer Walter Shenson, and screenwriter Alun Owen were hired to churn out just another cheap exploitation film, but instead used the opportunity to create a startlingly fresh and original movie that broke new ground both in subject matter (instead of simply following genre tradition and sticking the band in some corny made-up plot, they had the Beatles play themselves in a narrative based on their own incredible real-life experiences) and in form (Lester's inspired, surrealist approach to the film's musical numbers kicked off the entire music video revolution). Covered is the film's frantic six-week shoot, the lively recording sessions that resulted in seven great new Beatles songs, and how both the film and the album met with great critical and popular success.